A 14-year-old boy has appeared in court this morning (Saturday) charged with attempted murder after a teacher was stabbed at a school. 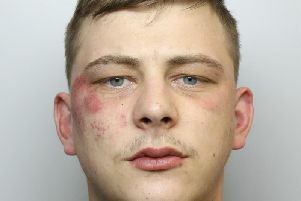 he teenager appeared at Bradford Magistrates’ Court following the attack on 50-year-old Vincent Uzomah, who lives in Leeds, at Dixons Kings Academy. The boy, who cannot be named for legal reasons, spoke only to confirm his name and address. A not guilty plea was indicated to the court for the charge of attempted murder. Remanding him in a youth detention centre, chairman of the bench Gill Arnold told the boy he would appear next at Bradford Magistrates’ Court on June 29. He is also charged with possession of cannabis. Mr Uzomah has been in hospital since the alleged attack but his condition has been described as stable and non-life threatening. He had only been working as a supply teacher at the school for a few weeks. He was described as a “very nice, reliable, bubbly guy” as well as a kind man and a good teacher.